When I visit a large city and only have a few days, I’m usually fretting about what to do and see. I want to see the highlights, but I also need time to explore and relax. While there are so many things to see and do in Madrid, I had to whittle it down. 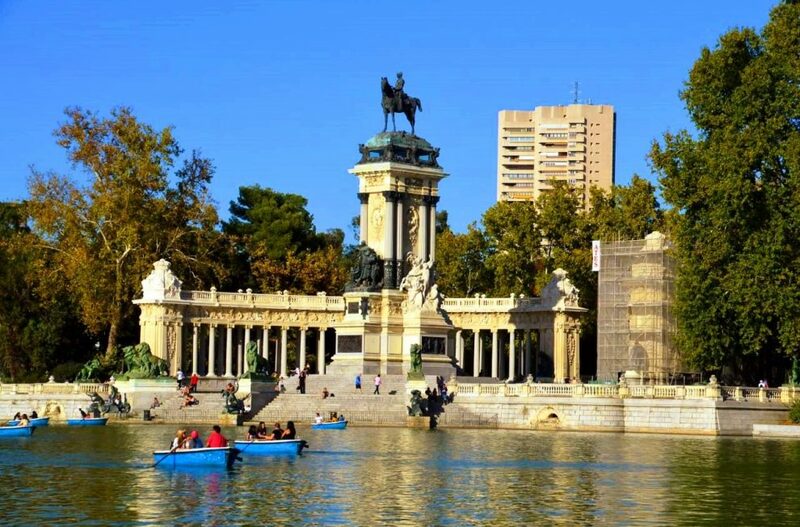 Take a day to enjoy some of Madrid’s many historical and cultural sites, and a day to slowly enjoy one of Madrid’s verdant parks and perhaps some leisurely shopping. Given you are only going for a weekend, make sure you have a great weekend or travel daypack. No need to schlep a huge suitcase! Here’s are some suggestions if you have just a weekend in Madrid. 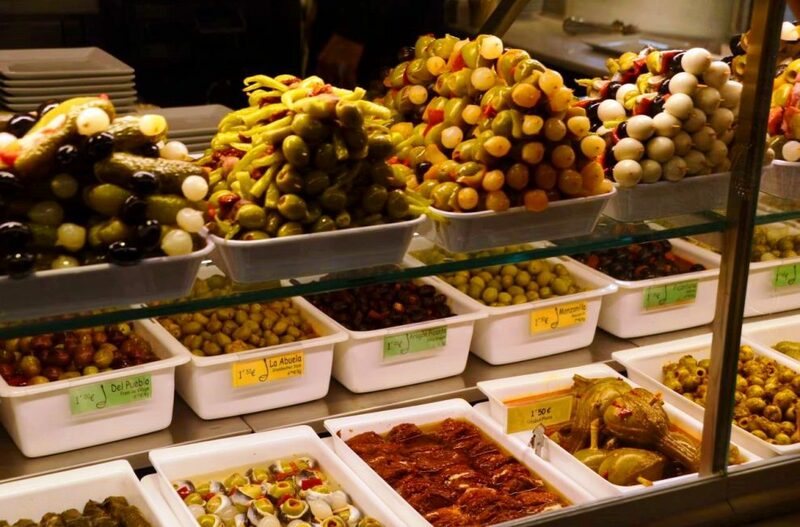 6 The Mercado de San Miguel is a must-see! 7 The San Miguel Market is a beehive! Since I was attending a music festival in the evenings, I booked an Airbnb near the venue on Gran Via. I highly recommend you book on or near this boulevard. 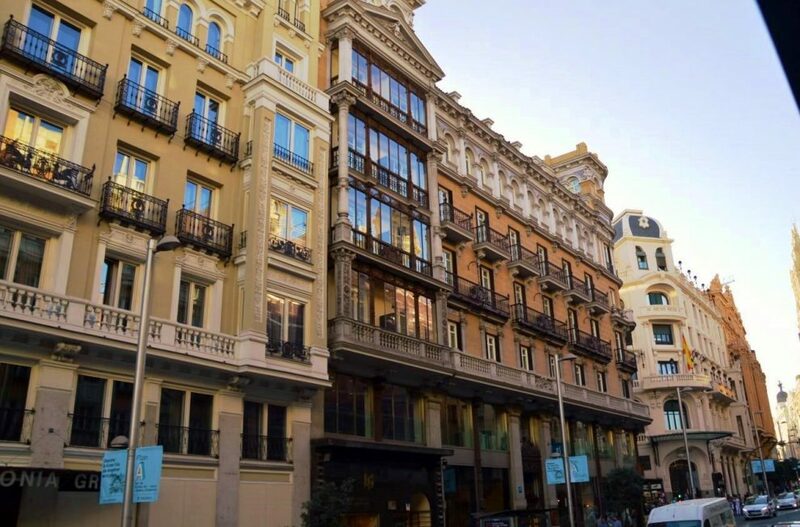 The Gran Via is the main drag through Madrid and everything is within walking distance. There are a variety of theatres, shops, hotels, restaurants, and it’ well traveled, so it’s safe. I shared a 2-bed apartment with friends and paid $50 a night for my room. I also booked a 3*hotel through Hotels.com for one night right on Gran Via for $73 with breakfast included. Prices are very reasonable for a major European city. BOOK YOUR STAY IN MADRID HERE!! First, you need to get your bearings of what to do and see. Madrid’s tourism office, Visit Madrid is thee place to go to find out what’s going on during your stay. Their website is chock-full of current ideas to plan your stay. You’ll find info on how to navigate the city’s Metro, how to get to town from the airport or train station, places to stay, wine and dine! Another reliable source for tours and unique courses is Viator, which is part of Trip Advisor. They list several hundred things to see and do in Madrid, whether it’s taking a specialised city tour or choosing a local cooking class. 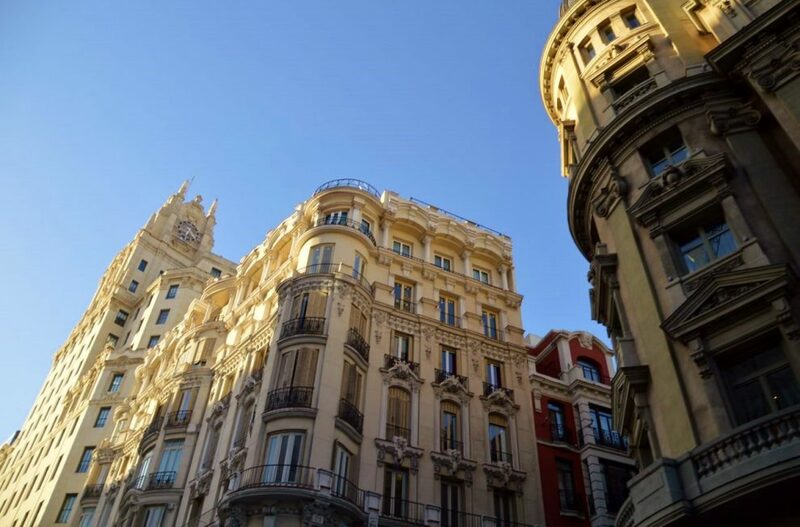 If you are looking specifically for things like events, restaurants, festivals and nightlife, then TimeOut Madrid is your go-to. From info we got from the tourism office website, we opted for one of their partners, the Madrid City tour. This is a Hop-on, hop-off bus and it’s $25 for a day or $29 for two days. There are discounts if you buy online, but you can also buy onboard. The 2-day ticket is more economical because you can use the bus as transportation around town during your weekend in Madrid. There are two routes and we decided to do Tour One the first day, and Tour Two the next. In October, the crowds had thinned out and this was an easy option to see and discover the sights. We usually scored a seat on top for the best views of Madrid. 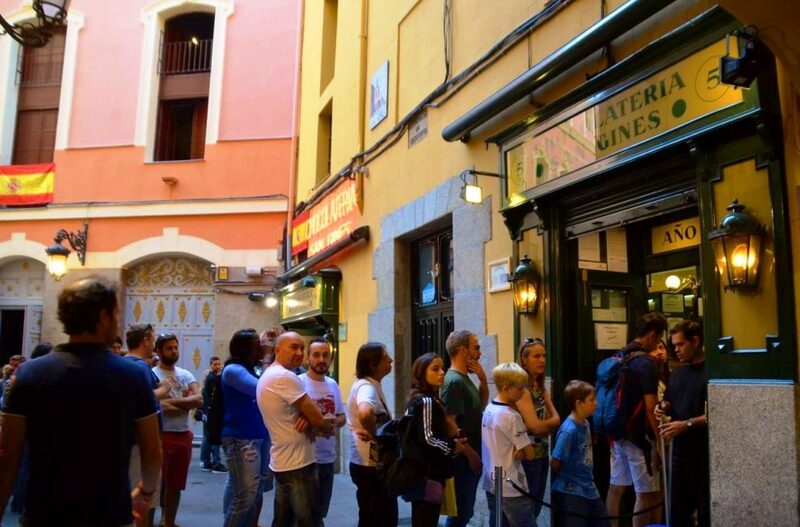 Don’t forget to book your Madrid City Pass for great savings and skip the line options! The bus stops near the most important landmarks, and gives you a great idea of what you should see. I always do a full circle, then decide where to get off to further explore the second time around. 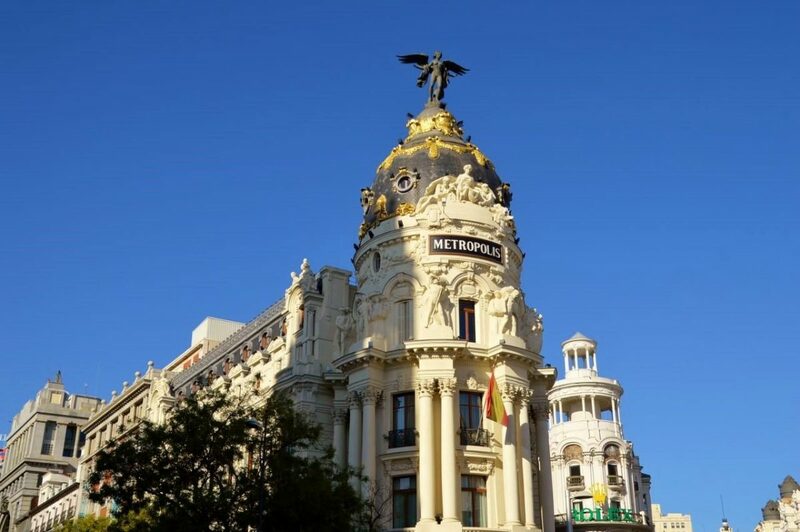 Tour One stops at the more central, must-see destinations, and Tour Two heads north of town – great if you want a glimpse of Madrid’s financial district, it’s wealthy residential area, or stop at Real Madrid’s soccer stadium for a tour. 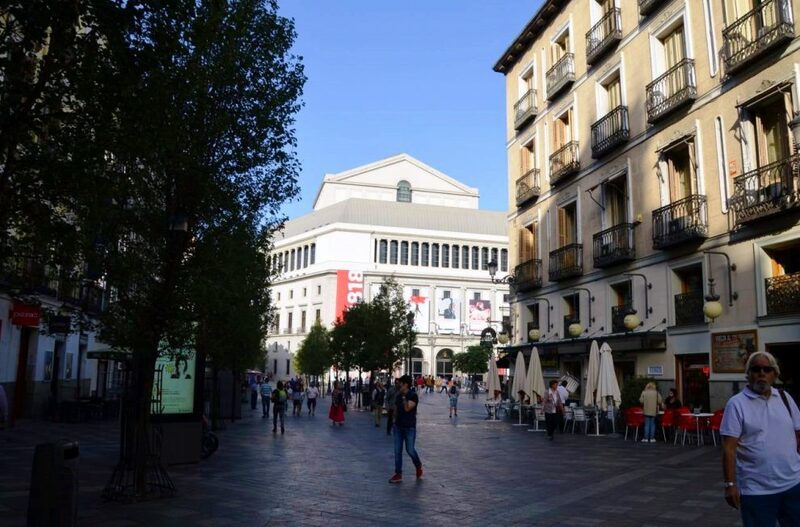 You will find Madrid is also a very walkable city. Many of the sites in the older section very easy to reach on foot. Just keep in mind that you are going to need a few pair of good walking shoes with you. Another cool tour of the city is via Segway. There are 30-minute to 3-hour tours. Prices range from $25 – $75 depending on the length of the tour, and you will see many of the same sights as Tour One. You will get basic training on how to navigate the Segway and they give you a helmet for safety. It’s a bit nerve wracking for a few minutes until you get the hang of it, but afterward, you won’t want to get off! The next time, I plan to try a GoCar Tour. They are tiny, bright yellow cars that operate along a GPS system. It looks like a souped-up riding lawn mower! There is quite a bit of traffic in Madrid, and the GoCars ride quite low to the ground. It’s a cool way to tool around town with directions and commentary provided. 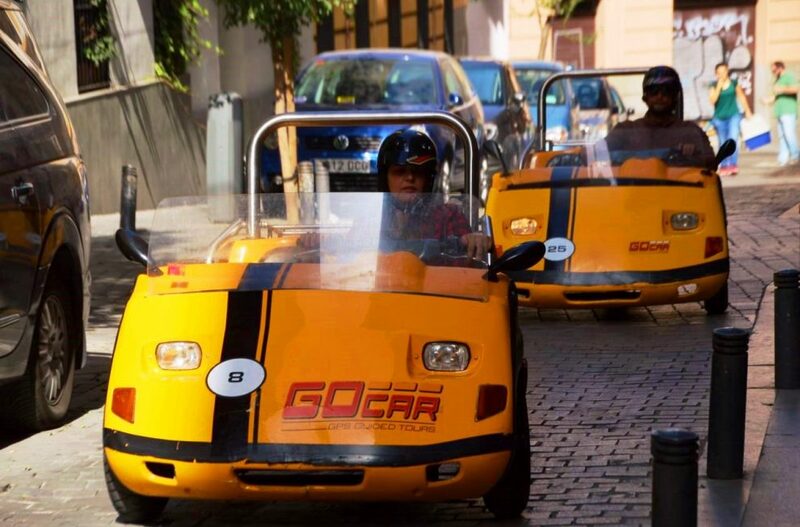 GoCars seat two and costs anywhere from $39-99 depending on how long you rent it for. 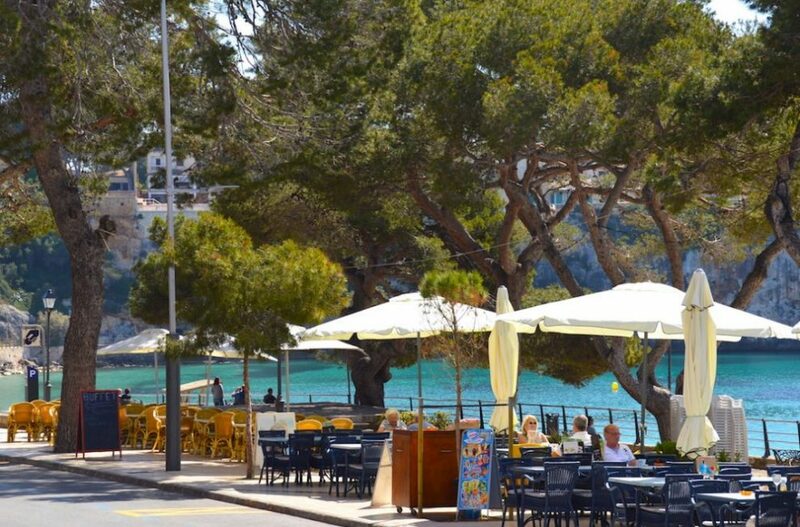 While in Madrid, why not consider heading over the Mallorca. Another extremely useful option is to buy an all-encompassing Madrid City Pass ahead of time. This would have saved us a bunch of time. You simply book it online and print out your ticket at home. There’s no need to book separate tickets. This pass provides round-trip transportation from the airport to your hotel, one day on the hop-on, hop-off bus, plus skip the line tickets for the Prado Museum and the Bernabeu Stadium Tour. You’ll also receive a 20% discount for all the museums, attractions, guided tours and excursions in Madrid, including Segway and Go Car. 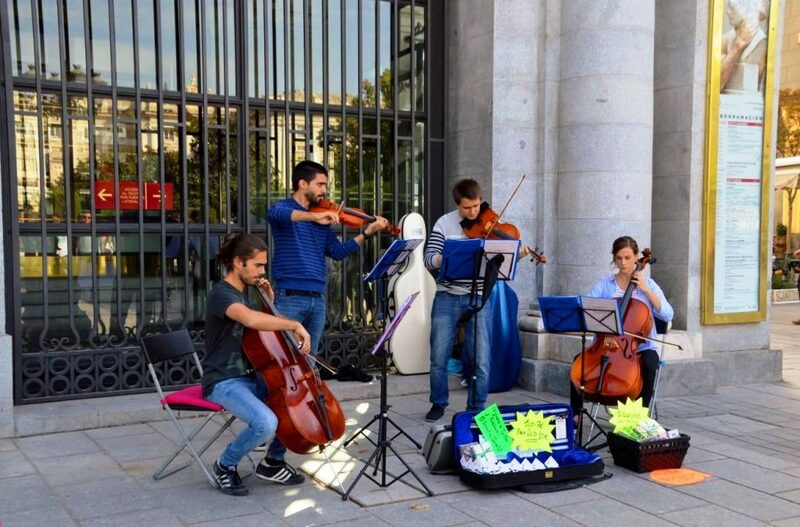 And you can use these at your leisure throughout your stay in Madrid. The museum discounts do not have a time limit of 24 or 48 hours like other cities. It’s a very convenient way to ensure you can see what you want, when you want. Our first stop was to explore the lovely gardens and grounds of Templo de Debod. 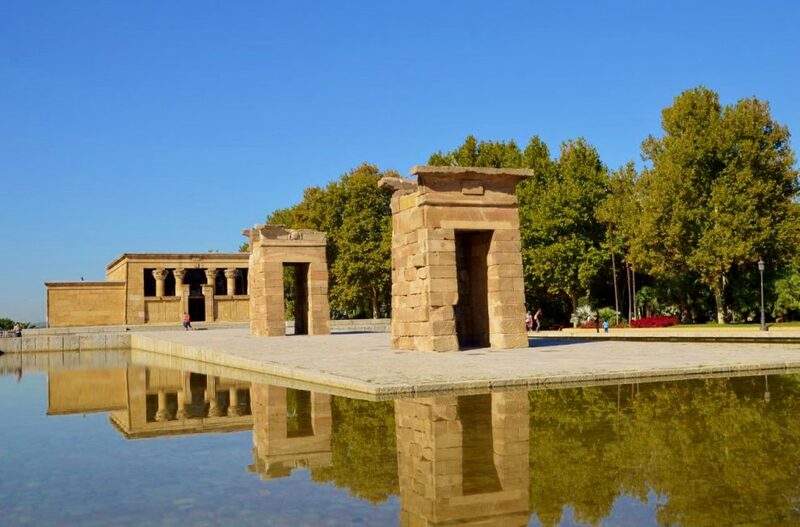 This ancient Egyptian temple dates back to 2 B.C and was donated to Spain by the Egyptian government to save it from floods after the creation of the Aswan Dam. The freaky thing is that it was actually dismantled and reconstructed stone-by-stone in Madrid, and opened in 1972. A maximum of 30 people are allowed in the temple at any one time, but you don’t even need to go inside; you can easily enjoy the beauty of the marvel, the reflection pool, and the stunning views from this lovely park just walking around. 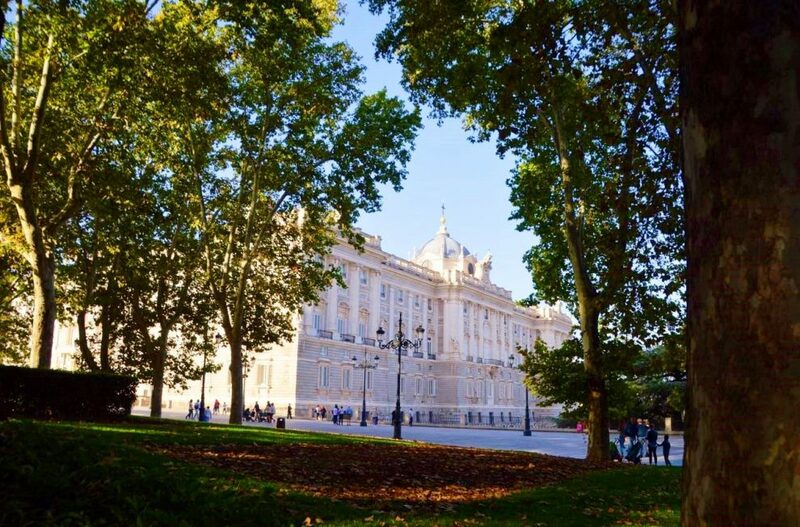 From there, walk along the lovely, manicured gardens to Palacio Real. 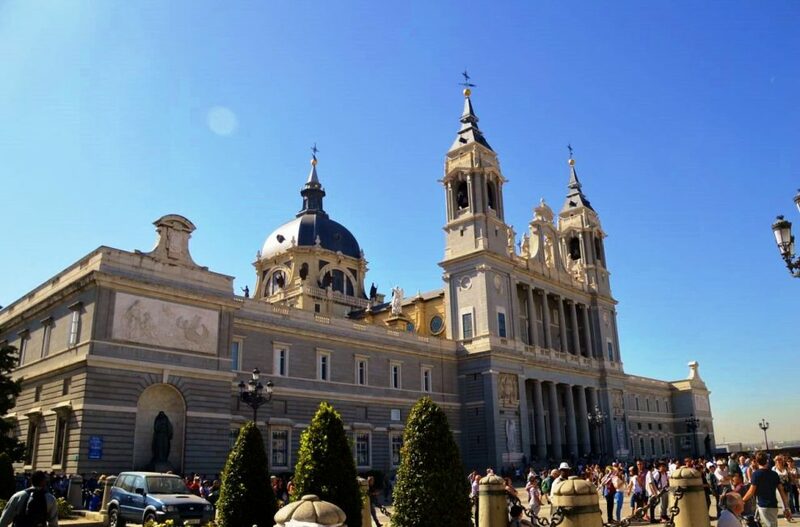 This is the official residence of the Spanish Royal family, although they don’t live there now, and it connects to the Cathedral de la Almudena. Construction on the Cathedral started in 1879 and was not completed until 1993! To be honest, we couldn’t figure out how to get into the Cathedral, it’s so huge! The Palace is free to enter on some afternoons, otherwise you pay $13. If you don’t want to go in, you can simply admire the beautiful baroque architecture and massive structures. Madrid’s Palacio Real on Tour One. 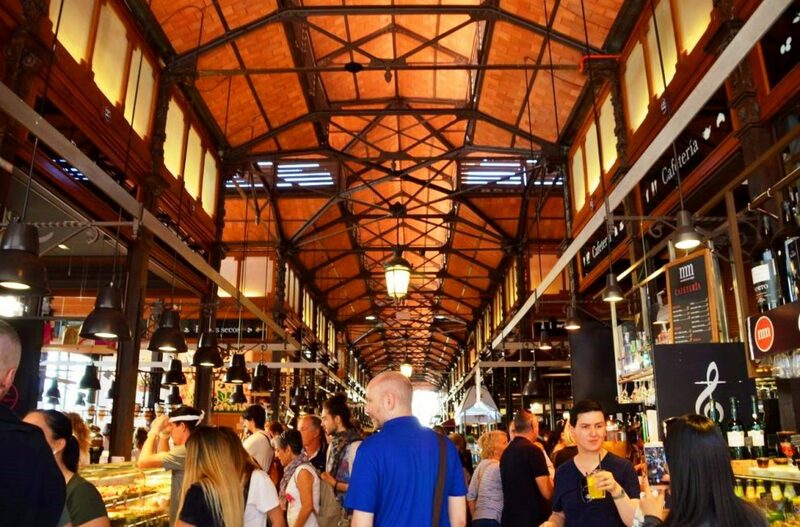 The Mercado de San Miguel is a must-see! From the Cathedral, we continued to stretch our legs along Calle Mayor. Mind you, the historic district of Madrid is all very walkable. There was a market I’d seen from the bus and wanted to go back for a snoop around. And there it was, just past the Plaza de la Villa, the beautiful, wrought-iron and glass, Mercato de San Miguel. 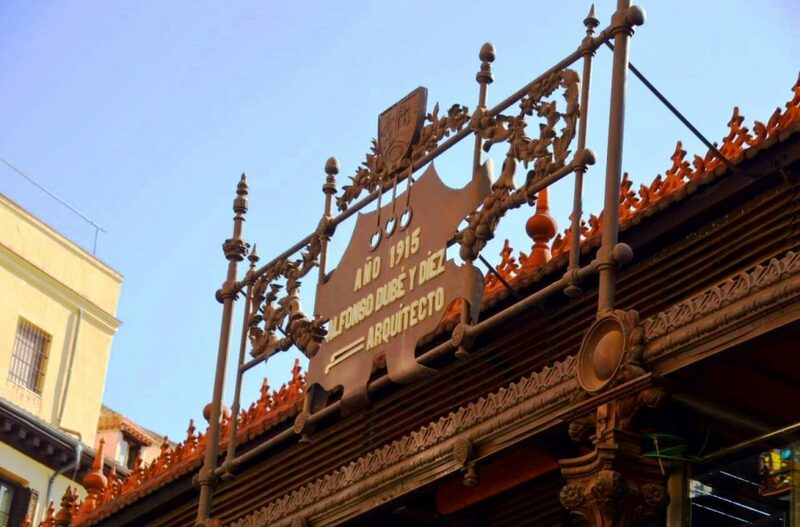 This market was originally built in 1916 and renovated and reopened in 2009. It’s a buzzing, covered market with more than 30 food stands of all types; tapas and frittatas, small plates of oysters, salmon, mussels, crab, banderillas (olives skewered with pearl onions, pickles and cucumber), paella, sushi, bocadillos (sandwiches with ham/cheese), empanadas (deep-fried pastry filled with spinach, ham and cheese,) ice cream, and the cheapest Sangria in town at $3! The San Miguel Market is a beehive! It’s a bit daunting at first because it’s a beehive of people wanting to buy something to eat, and those who just want to take photos. Then, when you do buy something, there’s the challenge of where you stand to eat it. There are a few long tables in the centre where you can whittle your way in. 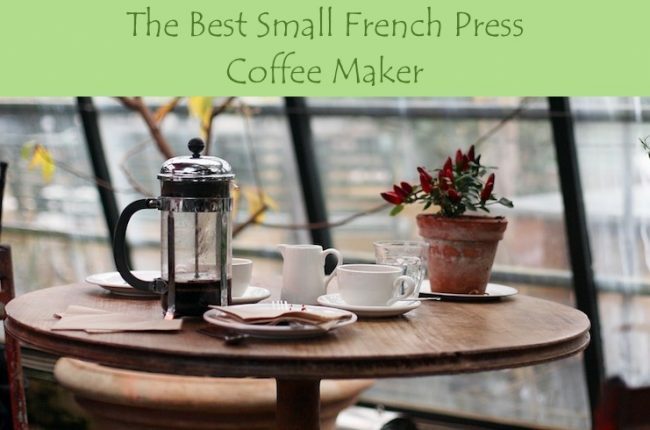 You can also just stand around eating in the open, linger over by the window railing where you can set your beverage or small plate down, or you simply go outside with your bounty. 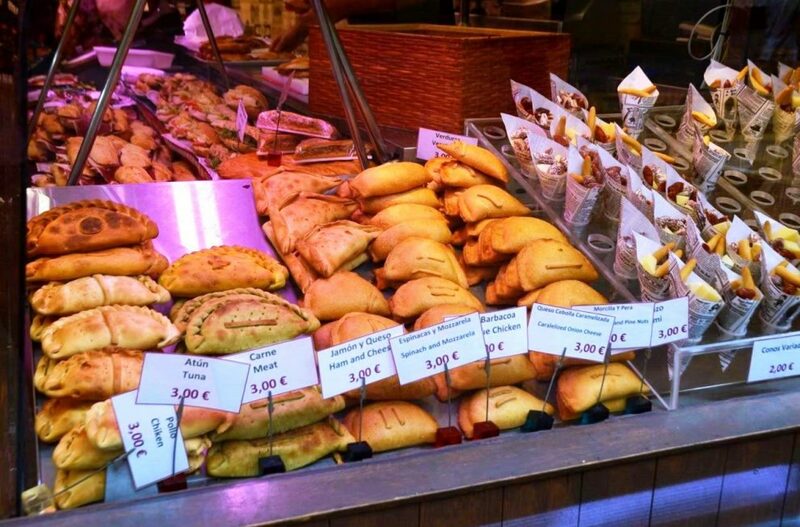 As stereotypes dictate, the Spanish still eat late, so you won’t starve if you have the late-night munchies. The market is open until 2a on weekends, otherwise it’s 12a. With our bellies full and a bit of a Sangria buzz, we got back on the bus to head to the expansive parks. There we found the Real Jardin Botanico, or the Botanical Gardens, which is a great stop for horticulture enthusiasts. The garden was founded in 1755 and now contains more than 30,000 plants and 1,500 trees across 8-hectares. It’s only $5, so not a break-the-bank experience. It’s right next to the Prado Museum, which is Madrid’s National Art Gallery. 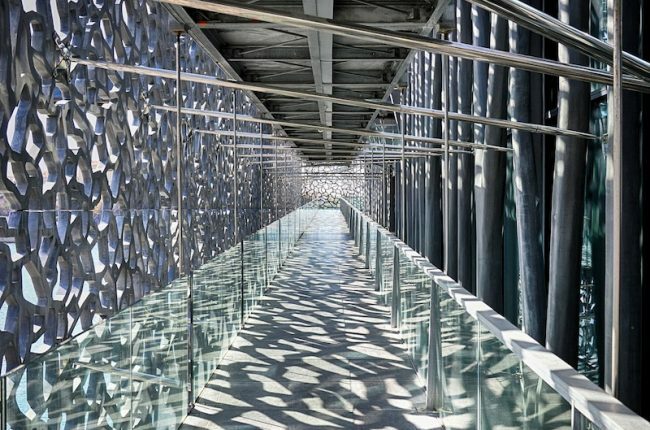 This 200-year-old museum is considered one of the greatest museums in the world, and is one of the most visited sites worldwide. Admission is @ $18. Go a little further east and you’ll discover the lovely, 125-hectare park called, Parque de el Ritiro. It is huge and you can easily spend hours here getting lost in the many paths. It is so beautiful. You can take a load off, sitting under one of the 15,000 trees here. There are many pop-up kiosks where you can stop and have a bevvie or a bite, and you’ll find lots of people sitting, reading, exercising or enjoying the many benches in front of the fountains and monuments. You could also come here with your picnic. It’s so quiet and leafy that you’ll forget you are in a city of 3 million. 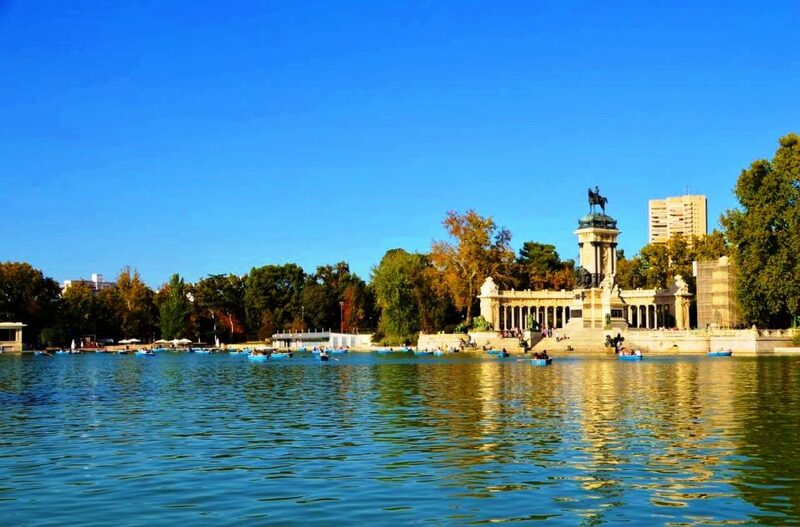 A great spot in the heart of Parque de el Ritiro is the lake surrounding Monumento Alfonso XII. The lake is really large and you can rent a rowboat to paddle around the beautiful lake and admire the monument and surroundings. There are also some snack places, and you can enjoy live music there as well. Rent a boat for four for less than $10. It’s a great way to spend the afternoon. While many of the historical sites are modestly priced at $5, $7, $9, it all starts to add up. You can easily justify paying to enter the sites by altering where and what you eat. 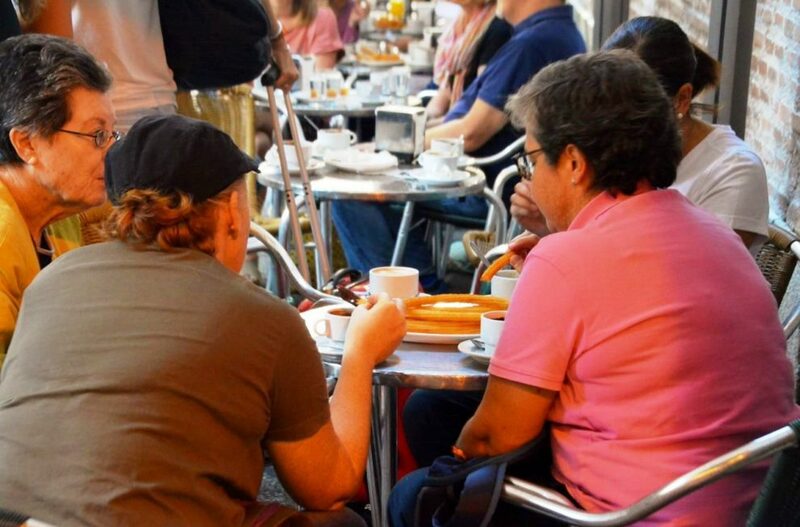 Madrid offers an enormously economical, local dining experience. Sample the local fare. 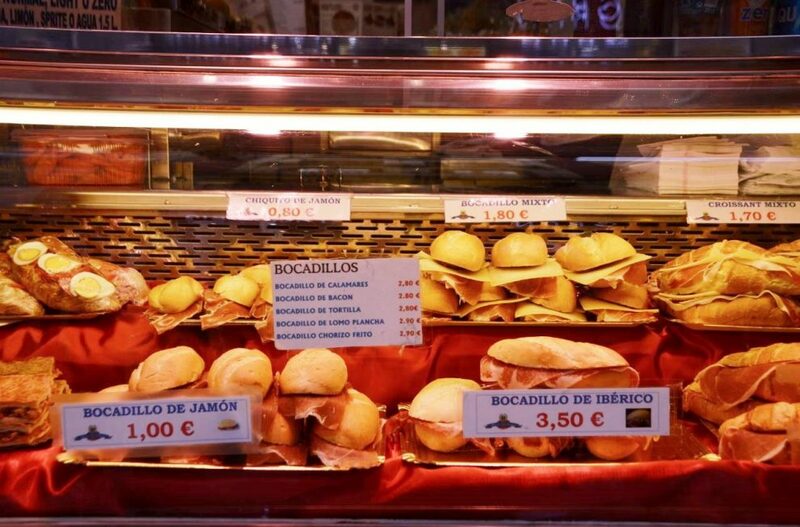 For quick bites at lunch, try one of the yummy Bocadillo shops, where they serve small sandwiches with local cured, Iberico ham, or cooked ham, with or without cheese. They cost around $1.50 and are perfect for small appetites. 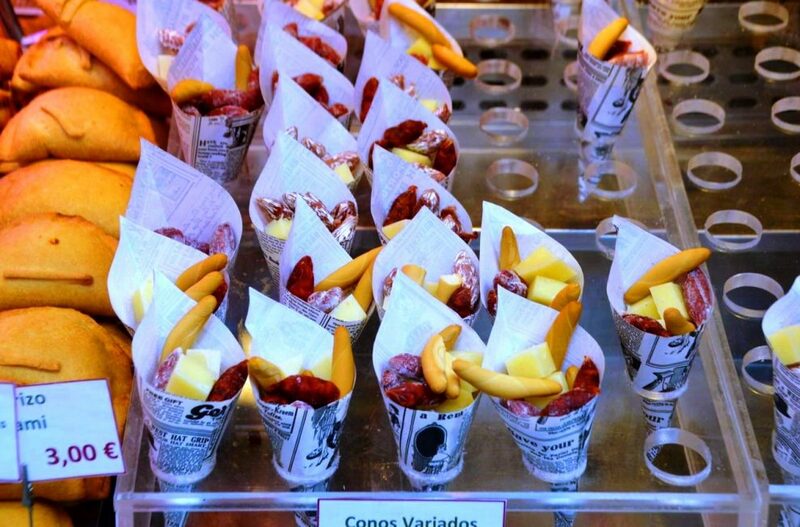 You can also get cones that have crackers, cheese and sausage for $3.50. Food in general is reasonably priced in Madrid. Tapas are alive and well in Madrid, as well. You will find lots of small portions of potato salad, potato quiches, empanadas, which are deep-fried pastry pockets with spinach, cheese and other goodies. For under $12, you will be really full. However, after a few days of this, I feel like I’ve done nothing but snacked my way through Madrid. And Paella is still prevalent on the menu, too. This skillet for two is filled to the brim with rice, fish, and various meats, and at $19 for two, it’s not a bad deal. My friends ordered one, and there was enough for a doggy bag! For a decadent break 24 hours a day, do like the locals and stop at the Chocolateria San Gines. 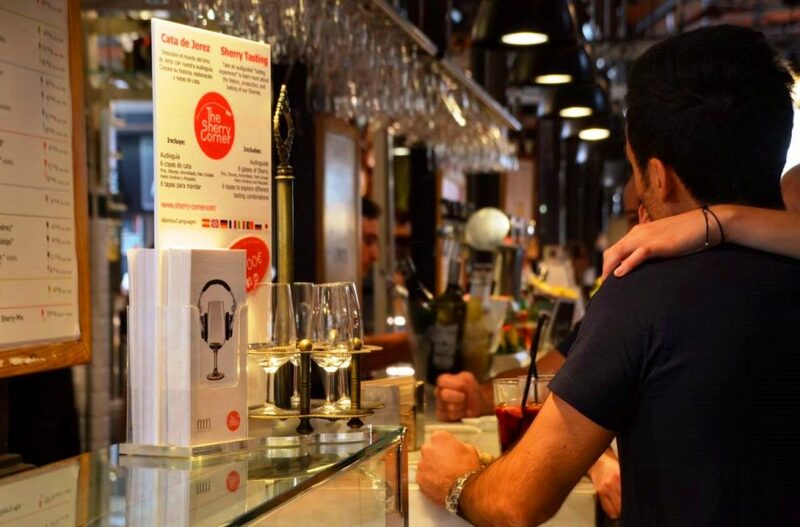 This popular joint is on Pasadizo de San Gines. Established in 1894, this place draws a crowd for what are simply churros (deep friend dough stick – think long donuts) and thick, hot chocolate, which is more like warmed, American pudding. You dunk your churros in the liquid-y pudding and enjoy. Then slurp up the rest once you’ve run out of churros. This is more my style. There is no shortfall of places to burn some Euros, and Madrid has some lovely pedestrian streets lined with shops. A couple of good areas are on Calle Arenal, which goes from Sol Metro stop to Opera Metro stop. You will find a mix of well-known and local shops, and restaurants to break it up. 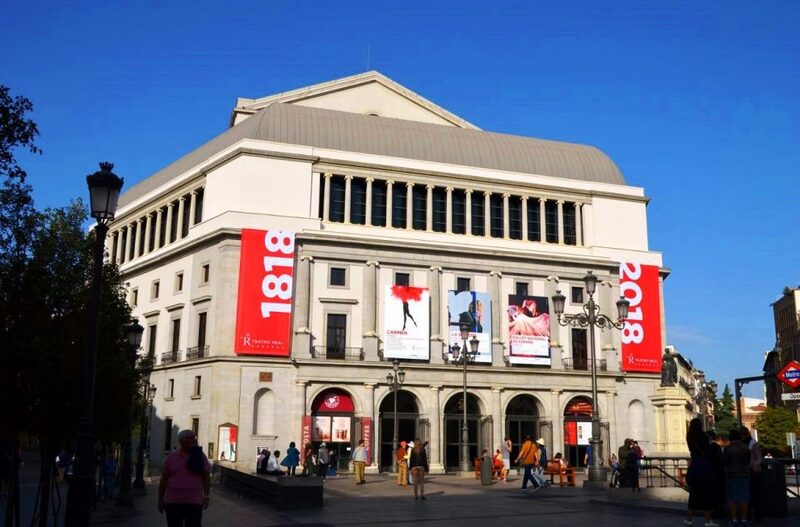 If you are organised well enough to book in advance, you could take in an opera or some music at the Teatro Real, which is right there as well. 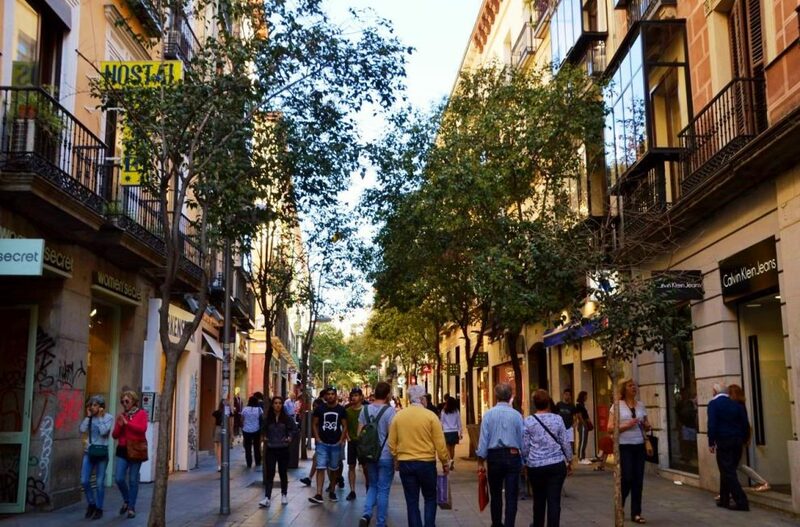 If you are a more serious shopper, head to Calle Fuencarral, going north off the Gran Via. Here you’ll find more shops than restaurants. Again, it’s pedestrian, and it’s great to have a leisurely stroll to see what’s on sale without traffic. On Tour Two of the Hop-on bus, we came across a major high-end shopping district along Calle Serrano. Think Prada and Gucci. Chances are, if you can afford to shop on this street, you would not be taking the bus to get there. You’d have your 5* hotel arrange a private transfer! 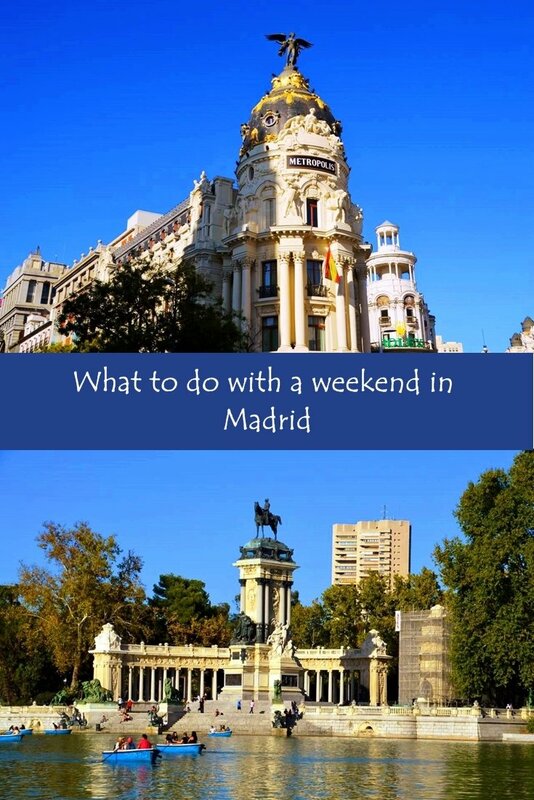 I hope you’ve enjoyed these suggestions of what to do with just a weekend in Madrid. Drop me a line of things you enjoy in Madrid. But I can’t stress enough what great information we received from the Visit Madrid site. We had a great time exploring and taking in some jazz in the evenings, and really look forward to returning soon. And while we are on the topic of Spain, why not considering visiting some other neighboring cities. Spain is an amazing country and their train network is fast and efficient. For another weekend jaunt just 2.5 hours from Madrid you might visit Seville. Here are some great ideas for the Best Things to do in Seville in a weekend. Greta’s Travels is chock-full of really informative and engaging information about this city. 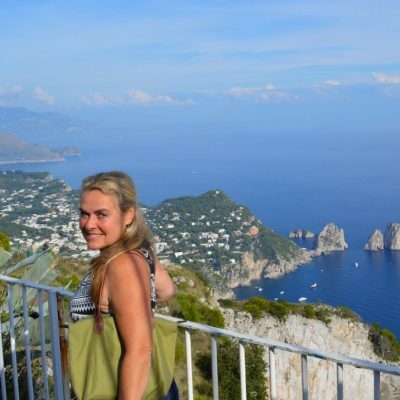 Be sure to check out Greta’s Travels here. Another area I’ve considered for a long time is the Basque region. I have this desire to do part of St. James’ Walk to Santiago di Compostela, but I’m not sure my feet could handle it. I’d more likely consider doing a northern Spain road trip, which would give me more freedom to see the smaller towns and villages, and sample more of the fantastic Basque region. Start by renting a car in Bilbao and go from there. If you are looking for a resort experience on the Mediterranean that is only 3.5hr via train from Madrid, consider heading to Benidorm. This gem of a resort has more to offer than you think, particularly in the off season. Check out 20 things to do in Benindorm. Important FTC disclosure: This post includes an affiliate link, and if you click on it and buy something, we’ll possibly make a small commission. Don’t worry, you won’t be charged extra for it. As an Amazon Associate we earn from qualifying purchases. 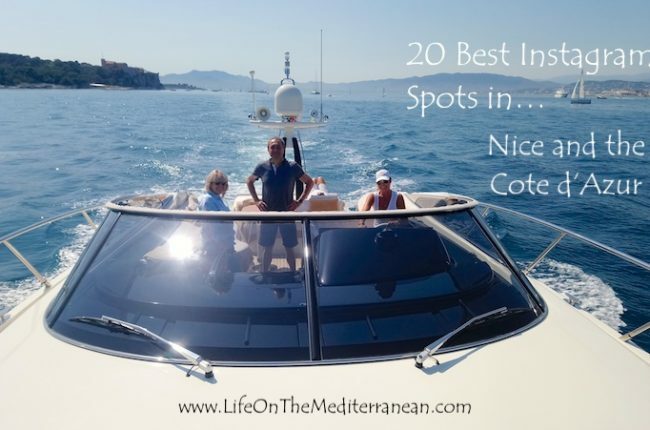 While we only recommend products we believe in and will be of value to you, in no event will Life On The Mediterranean be liable for any loss or damage resulting in the use of products linked in this article or the websites selling them. This article links to websites not under control of Life On The Mediterranean and we have no control over their content or availability. What an amazing adventure! You did so much in such a short amount of time. I have been to Spain but I haven’t been able to check out Madrid yet. I have heard so many great things about this city! I hope to visit sometime soon! Great post! Really appreciate your comment. We found the info from the tourism bureau to be really helpful especially when you have very limited time. I love Madrid. This place is totally cute and enchanted. I visited Madrid for 3 days and always love to come back!